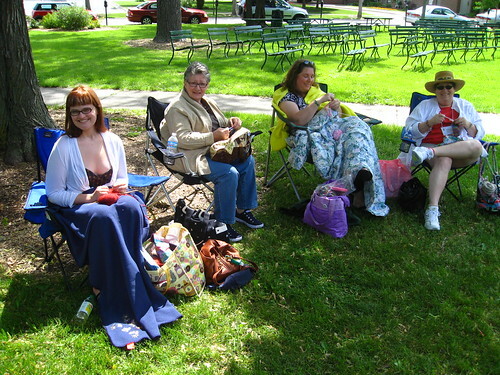 While I do knit in public at least twice a week, I logged a third today with my friends for World Wide Knit in Public Day. 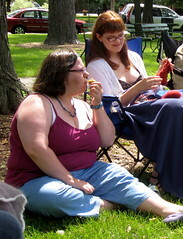 We packed our knits and a picnic for an afternoon at Jackson Square Park in Green Bay, Wis. 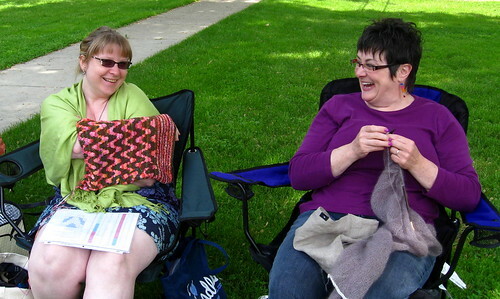 The weather was wonderful (well, I at least was warm enough) and the yarn was flowing through needles and loom. I FINALLY started my first baby project today — the Square Dance Blanket from Loom Knitting Made Easy . 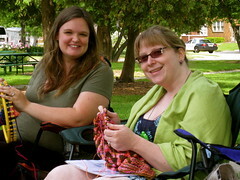 The blanket really is easy and I should have it done in a week or two. To make things interesting, I'm also trying the garter stitch tip by Isela Phelps (video). Check out the link to learn it, too! Using this technique, you can do an e-wrap knit row and a purl row together, saving just a bit of time. I was worried the e-wrap knits would create a fabric looser than I prefer but so far, it's lovely for the blanket project! Speaking of this particular stitch, head on over to Loom Knitting Central for the Garter Stitch Challenge. 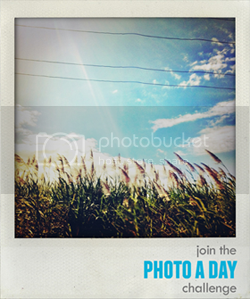 My project here isn't eligible but original projects qualify. 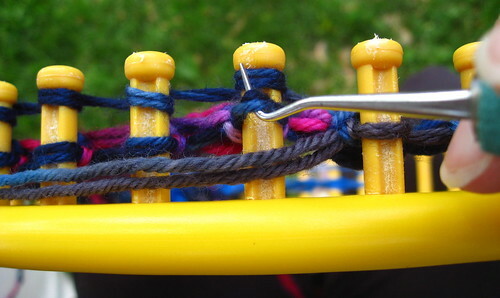 Loom away!